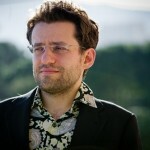 From his answer to the very first question on why people play chess, it was clear that Levon Aronian’s Q&A at Crestbook was going to be an entertaining read: “For pleasure, peace of mind and the moral torture of their neighbour”. Sharp and funny, the Armenian GM lifts the lid on life at the top of the chess pyramid. 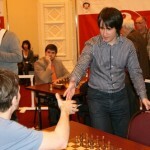 After his impressive second-place finish in the Blitz World Championship, Teimour Radjabov talked about the event, but also the issue of Grischuk replacing Carlsen as his opponent in the first round of Candidates Matches.